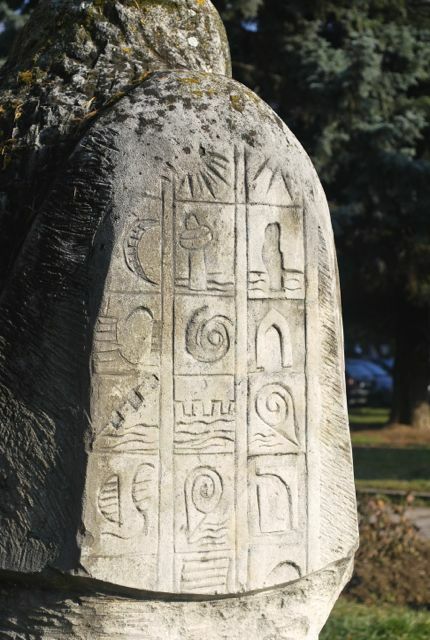 A common feature in BiH are the ruined parks and monuments. I suspect that many would say taking care of parks and monuments is low on the scale of need, but in the public sphere, these ruins have a public meaning beyond memory and memorials. 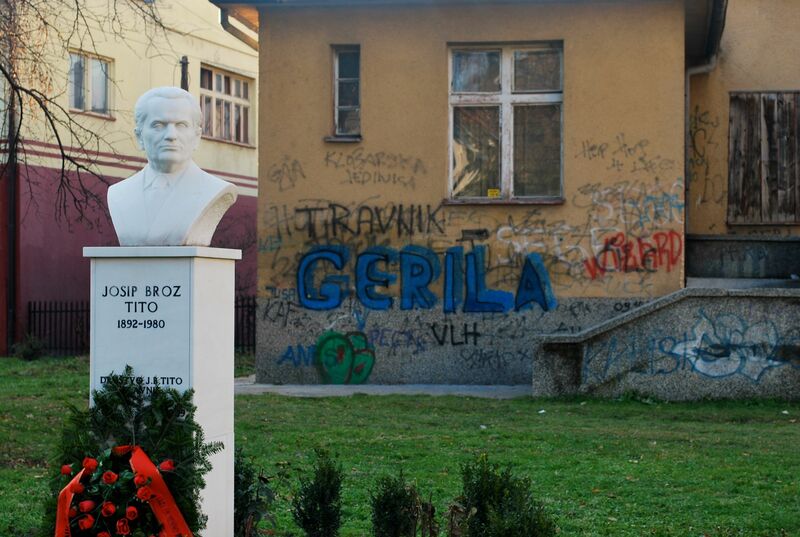 While this shiny white bust of Marshall Tito is well kept, he is framed by splotches of graffiti. This other bust caught by attention. 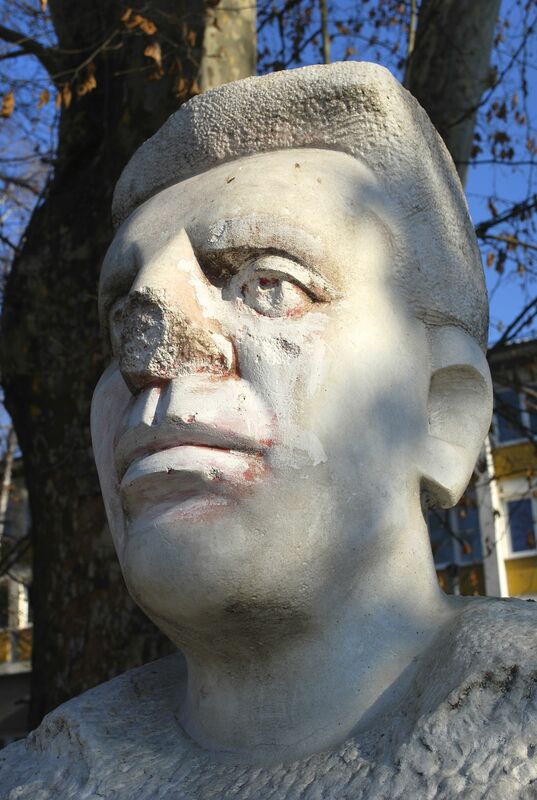 His nose broken during the restless times after the fall of the Berlin Wall, Mavrak V. Antun stands alone, near a public water fountain. This man’s sad history, one of Stalin’s 99, is marked only by the bare dates of his birth in Travnik in 1899 and death in the SSR in 1937. Why has no one repaired his nose? Or is the broken nose itself considered a secondary memorial? Then, there are the marvelous granite sculptures covered with moss, and unmarked in a left over pocket park near the bus station. On the backside, there were some amazing hieroglyphics. 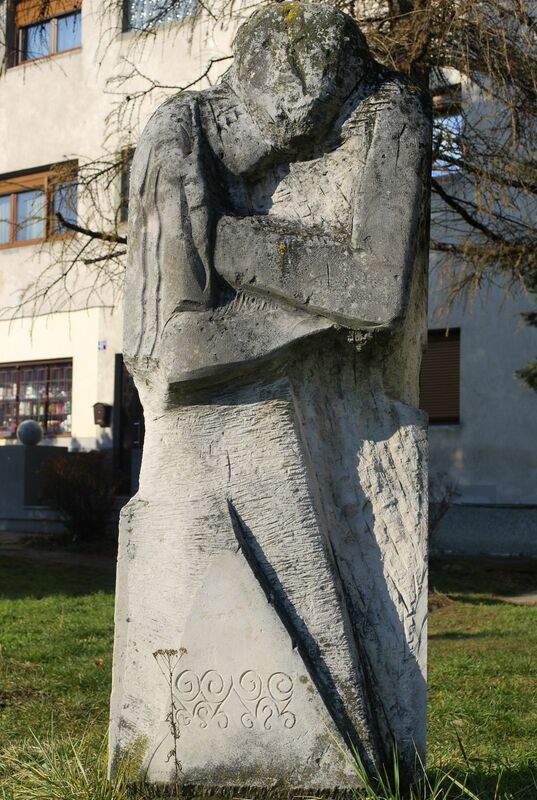 This entry was posted in Uncategorized and tagged Mavrak V. Antun, parks, statues, Tito, Travnik. Bookmark the permalink.